“The only sanctions that [had] led to a result were the sports sanctions against the Republic of South Africa”. “The sanctions [against Russia] have proved unsuccessful”. Before addressing these claims, we need to identify types of targeted sanctions and their purposes. On the basis of the existing academic and expert literature on the subject, we can identify the following major types of targeted sanctions: (1) individual sanctions, (2) diplomatic sanctions, (3) sectoral sanctions, (4) commodity sanctions, and (5) financial sector sanctions. Each of these types has subtypes: for example, individual sanctions include, but are not limited to, travel bans and asset freezes, sectoral sanctions – arms embargoes and aviation bans, financial sector sanctions – investment bans and Central Bank asset freezes, etc. As for the purposes of targeted sanctions, there are three: (1) to coerce a change in a target’s behaviour, (2) to constraint a target from a particular activity, and (3) to signal to a target about the violation of an international norm. Success of the sanctions is always evaluated against the purposes of their imposition, or foreign policy aims. In other words, when we assess the effectiveness of the sanctions, we ask: “Have we been successful in coercing a regime to change its behaviour?”, or “Have we succeeded in limiting a target’s access to the resources that it uses to carry on its proscribed activity?”, or “Have we made it clear enough that a target’s behaviour violates the international norms?”. Now, Kneissl’s claim that the only successful sanctions were the ones imposed on South Africa goes against all the expert knowledge on the international targeted sanctions. Sanctions with the purpose of coercion were successful in the cases of Côte d’Ivoire, North Korea, Sierra Leone and Somalia. Sanctions with the purpose of constraint were successful in the cases of Angola, North Korea, Haiti, Liberia, Libya, Sierra Leone. Sanctions with the purpose of signalling were successful in the cases of Angola, Côte d’Ivoire, North Korea, Haiti, Liberia, Libya, Sierra Leone, Somalia. The analysis of successful (and unsuccessful) cases of the imposition throughout history demonstrated that no episode of the international targeted sanctions has ever been successful without imposing at least three (sub)types of the sanctions. The usual successful combination is arms embargo, travel ban and asset freeze. Of course, history knows examples of unsuccessful sanctions, but they failed largely because of the misguided combination of (sub)types of the imposed sanctions. 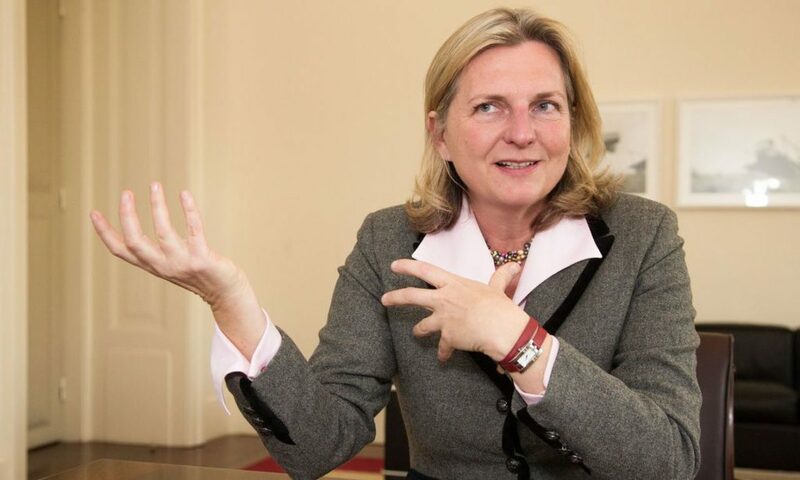 Now, have the sanctions against Russia been proven unsuccessful as Minister Kneissl claims? Let us consider the effectiveness of the sanctions against the three above-mentioned purposes. It seems that the sanctions have been most effective in signalling to Russia that the annexation of Crimea and invasion of Eastern Ukraine are wrong: no major international organisation, including the United Nations, has legitimised the annexation of Crimea or justified the invasion. In terms of coercion, there has been success too: the sanctions (and also military non-lethal help to Ukraine) stopped Russia from invading entire Eastern and Southern Ukraine (the so-called “Novorossiya” project). However, it is still difficult to evaluate whether the sanctions have constrained Russia by limiting its access to the resources needed to continue the proscribed activities (annexation and invasion). On the whole, it appears misleading to claim that the sanctions against Russia have failed. Doubtlessly, there are varying degrees of success of the Russia-related sanctions if one considers the three purposes – perhaps a modified set of (sub)types of the imposed sanctions should be used, in combination with other policy and diplomatic activities – but by no means does it suggest that the sanctions should be lifted. The history of international targeted sanctions does not know a single case where a target would stop its proscribed activity just out of kindness.